Dental emergencies are scary and impossible to plan for. 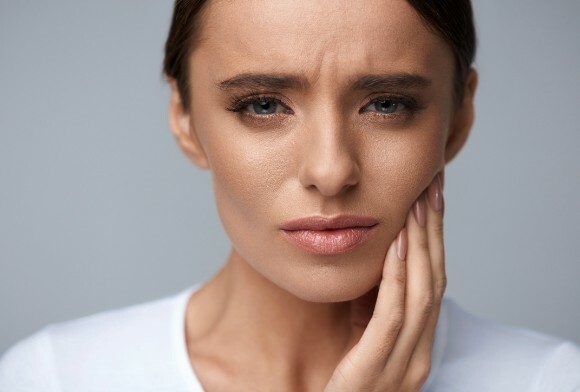 One minute you’re having a nice bike ride or getting ready to enjoy your favorite meal and the next thing you know you’re dealing with a broken tooth, a toothache, or something else that causes you pain and worry. What can you do in these cases? Call your trusted emergency dentist as soon as possible! We will fix the problem and have you on your way before you know it. Sometimes people are reluctant to admit that they are experiencing a dental emergency and end up delaying treatment as a result. But now is not the time to be brave! If you are in pain, bleeding, or feel like something is just not quite right with your smile, it’s time to call your emergency dentist. When you get in touch with our office after an urgent oral situation occurs, we will ask questions and listen to the details to provide specific advice for what to do next. Then, we will schedule a time for you to come in as soon as is necessary given your emergency. We’ll walk you through first aid tips when you call the office, but we have listed some of the most common tips below for your convenience. Collect and rinse any larger missing pieces for possible reattachment. Place a clean gauze or cloth to a bleeding wound. If bleeding does not stop or at least slow after 10 minutes, head straight to the emergency room. Apply an ice pack to the affected cheek in 10- to 15-minute intervals. Be sure to wrap the pack in a protective cloth or towel to prevent injuries to the facial tissue. Take an over-the-counter pain medication as directed to reduce discomfort. Broken tooth? Toothache? Whatever it is, we’re waiting for you in the event of a dental emergency! Call Celebration Family Dental and get out of pain quick. Your emergency dentists are on the case.